It’s just too cold and dark to live! Our greenhouse is going to spend a few nights below zero this week. Also, two weeks ago we planted our first seeds. 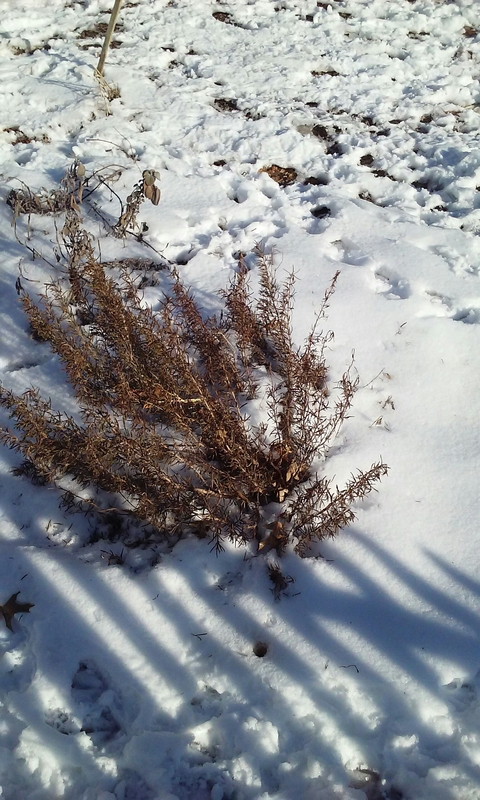 Back then the weatherman told us that the whole past week would barely dip below freezing. It’s possible that he mixed up his Celsius with Fahrenheit, he is super nefarious and anti-farmer, or maybe it’s just hard to predict the weather more than 3 days out around here. I think there’s a term for someone who gets fooled by the same person multiple times. 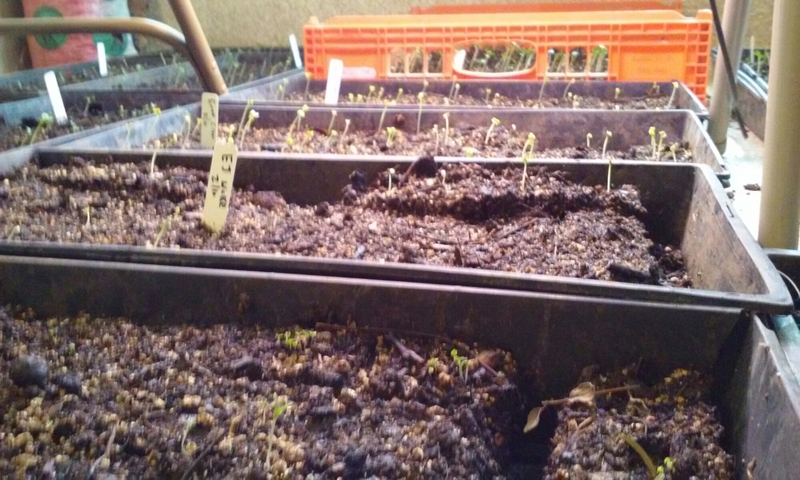 That said, we’ve got about 2000 little seedlings popping up, reaching for the sunshine. 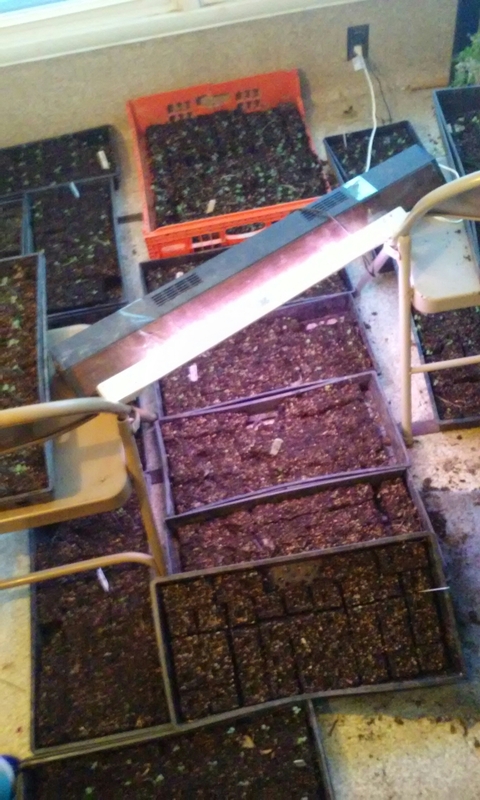 There isn’t any in the garage where we do our seeding, and the greenhouse is cold enough every night to kill any little baby plants that emerge. 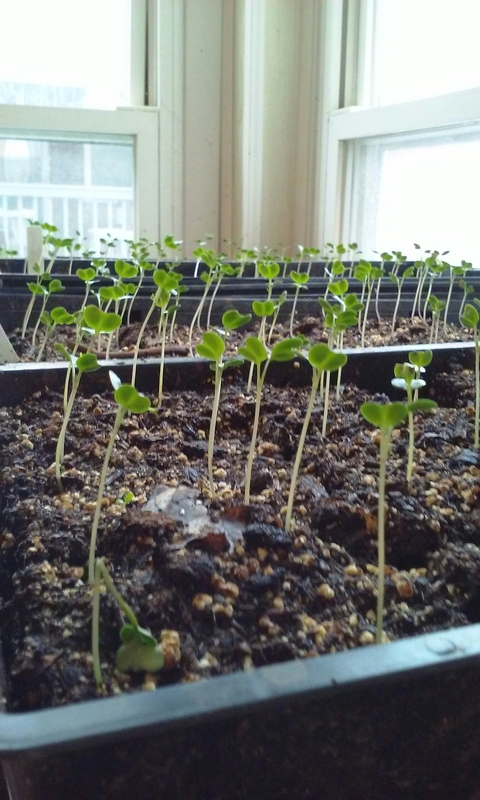 So we are leaving them all on a sun porch with an assortment of fish tank lights, space heaters, and a dog (the latter provides no known horticultural benefit, save a little carbon dioxide and warmth) They are green, and starting to show their first true leaves. But they are reaching out for some sun to the point that I’m sure we’re going to get some mortality from them getting to tall, then falling over. Hopefully in 5 days we can put them out, and they will feel quenched by the endless sun and trapped heat of our little propagation greenhouse.